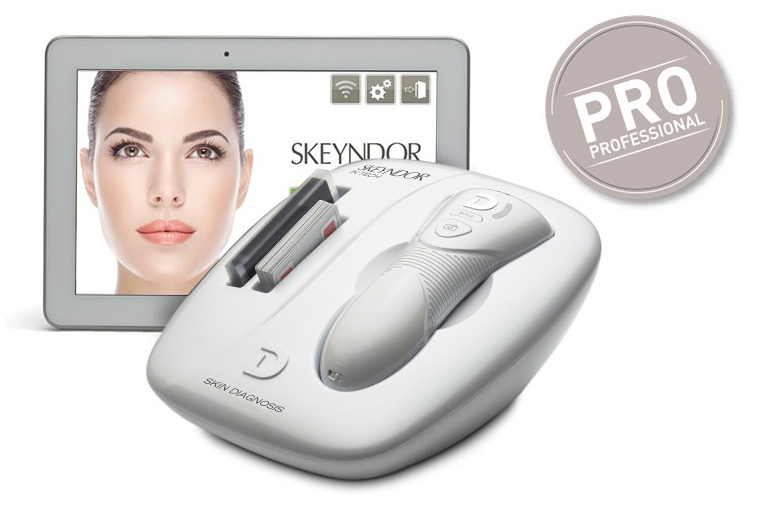 My Skin Diagnosis is a concept developed by Skeyndor for the analysis of the skin. This analysis is carried out by the professional using a diagnosis kit which is unique on the market. It incorporates into one single lens the measurement of the 7 essential parameters of the skin. The kit analyses in detail with a camera, polarised lights and UV. This will determine skin issues such as wrinkles, irregular pigmentations, acne, etc. It will then indicate to the professional the most appropriate in salon treatments and at home care. Skeyndors Timeless Prodigy Utilising the latest cutting edge cosmetics to reverse the passage of time. Using an exclusive combination of luxury and science with a sensory experience. The most advanced anti-ageing Technology ever to be formulated in a Skeyndor treatment. Made with more than 25 ingredients to high concentrations and endorsed by over 130 clinical studies. Timeless prodigy combines 3 strategies of aesthetic rejuvenation: cell genesis activators, cell quality perfectors and cell functionality enhancers. Recommended course of 4 treatments for the optimum results. Substances that increase the number of cells, like stem cells of Damask Rose (France). Substances such as the extract of White Truffle from the region of Piedmont (Italy), also called the “White Diamond”, that protects and restores the quality of the cells and delay their entry into the senescence. Substances that enhance the activity of cells, such as the Kombucha Tea. Ultra-Anti-Aging Cream with a rich texture and silky application for middle-aged and mature, dry and very dry skins. Protects, repairs, and restructures the outer layers of the skin in a natural way, providing care and comfort for the more demanding skins. Ultra-Anti-Aging Serum for all skin types with comfortable texture. Light in application, provides long lasting softness and hydration to the skin. With a Luminous finish and a velvety texture that adapts to any type of skin. Perfect for combating global ageing, softening wrinkles, re-firming the eye contour and reducing eye bags and dark circles. Native collagen mesh structured in 3D, impregnated with a solution rich of hyaluronic acid.